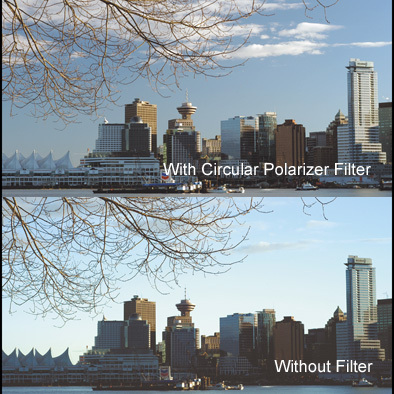 The circular polarizer filter produces the same effect as the linear polarizer but (due to the light being circularly polarized before it enters the lens) does not cause interference with the lens' auto sensors. 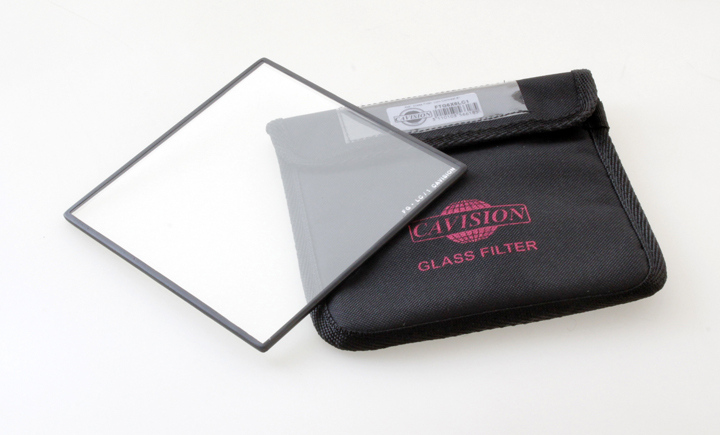 If using the auto sensor functions on a lens, this filter type is recommended. The polarizer filter reduces light entering the lens that is oriented in a single plane (polarized light) without affecting colour temperature. Light reflected off glass or water, as well as some of the light emitted from the sky on a clear day, is polarized. 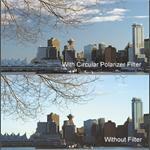 When rotated to the appropriate angle, the polarizer can largely eliminate reflections off glass or water. Furthermore, the polarizer will reduce glare and excess sky light, thereby increasing sharpness, contrast and colour saturation of the image.